PocketBook takes part in DISTEE EMEA, the 14th international conference which will take place at Grimaldi Forum, Monaco from 24 till 27 February 2016. DISTREE EMEA brings high-level buyers together with senior vendor executives to meet and talk business. CEOs, Managing Directors and senior level executives from companies in Europe, Russia, the Middle East and Africa are invited to attend the event in Monaco. Aiming to achieve the new business connections and partners PocketBook traditionally participates in DISTEE EMEA. 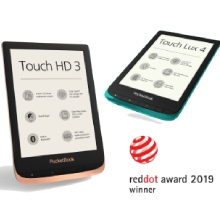 Being one of the largest producers of E Ink devices and exclusive distributor of innovative products PocketBook will represent new unique IoT devices and flexible E Ink reader for business. One of the products to be shown at the event is Petcube Camera, the brand new product that changes the way people interact with their pets. The camera allows pet owners to watch, talk and play with their pet from their smartphone, no matter where they are. The sleek, wide-angle, Wi-Fi-enabled camera with real time HD video is controlled through Petcube’s free iOS and Android mobile applications. Another product to be represented is PocketBook Reader Flex – the professional flexible E Ink e-reader in A4 size. The device is equipped with 13.3 inch E Ink Mobius screen and has the functionality of cloud printer. 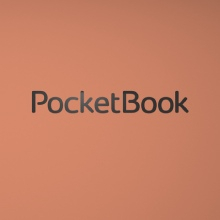 PocketBook constantly expands its network of partners in the EMEA region and participation in annual DISTREE forums, has become a good tradition for the company.